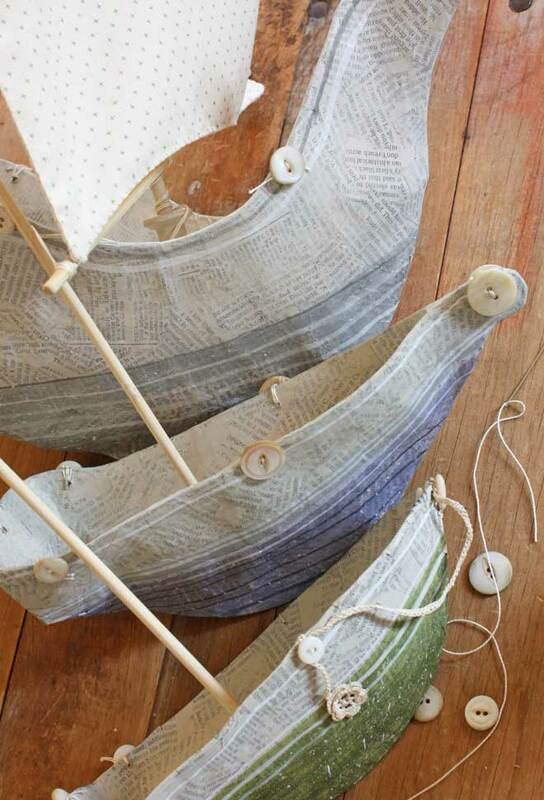 The last time I showed you these ships they were getting their final layer of paper mache, the newsprint layer. Then I abandoned them. I didn’t feel inspired in any particular direction color wise so I left them alone. Weeks later I still didn’t feel inspired in any particular color direction so I started experimenting. 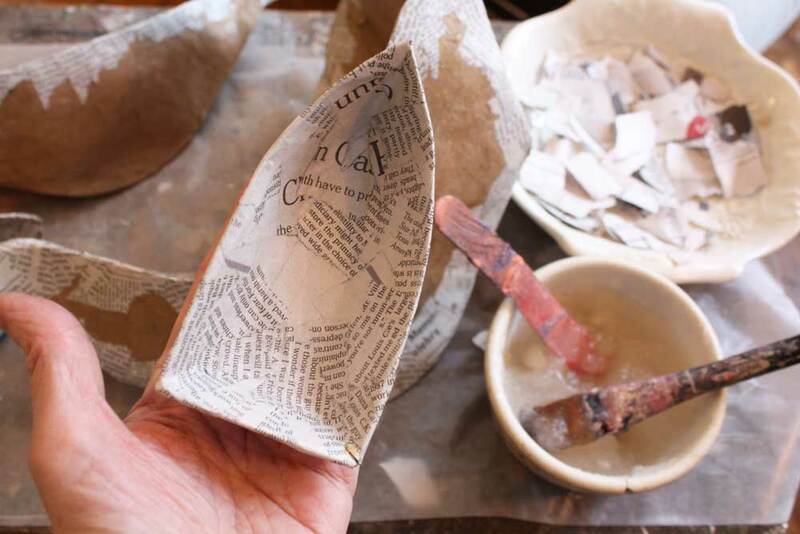 I like newsprint and almost always use it as my final layer and I like it to show. I paint in washes (there is a video of this whole process here). I use water color and mat acrylics. I don’t use any clear coats on top, I like the matte quality of the paint, but I do burnish them with a soft cloth when they are dry, it just smooths them a tiny bit and makes a pretty surface. 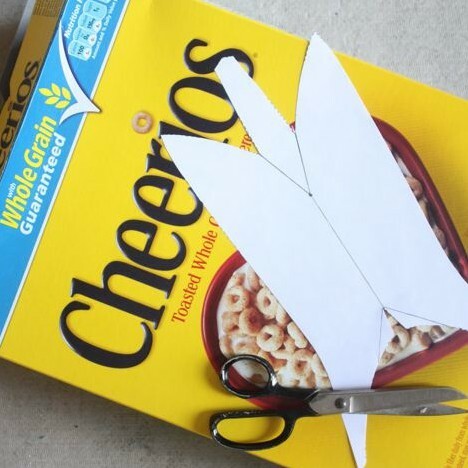 I also love to splatter them with a fine spray of white or ivory. I found that bristle brush at a flea market, an old toothbrush works too. Next I add buttons for the rigging. 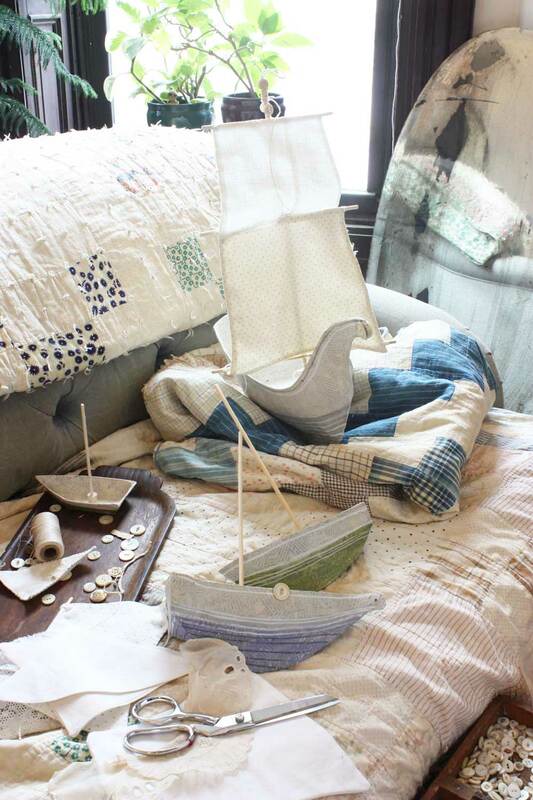 Lately I like lots of buttons and I’m always on the lookout for antique mother of pearl buttons. 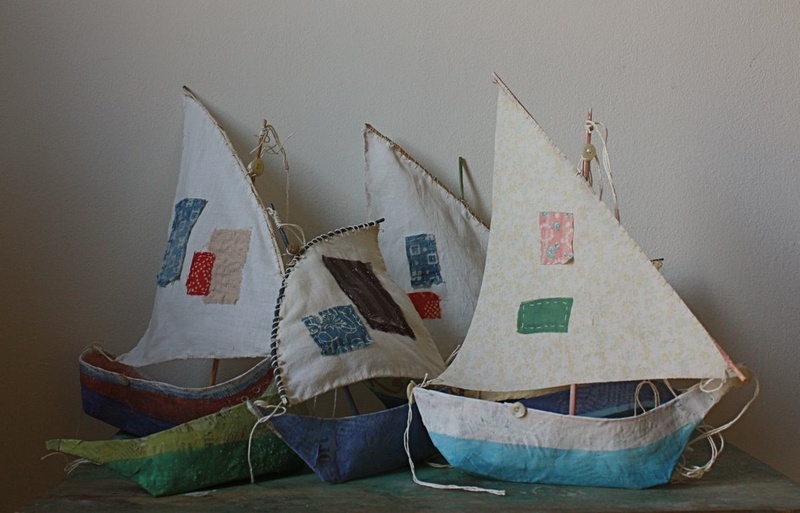 You should hide yours when I come over… The three ships below are made from the paper mache ship pattern collection. 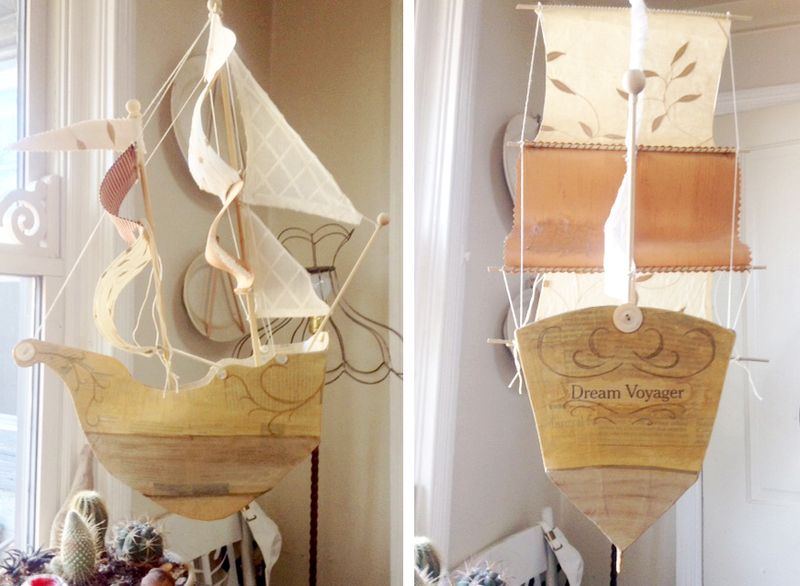 I did modify the sides of the large ship, I do it a little differently almost every time I make one. 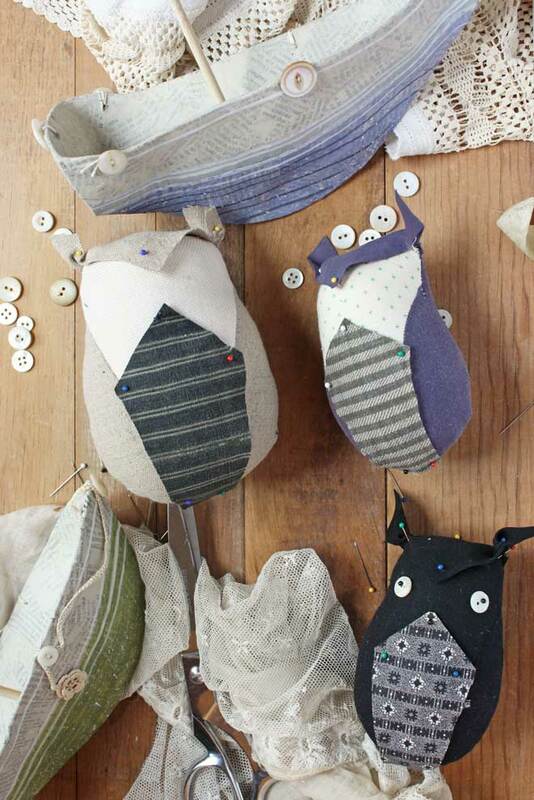 Each ship is getting a gentleman sailor owl captain (the small and medium sizes from the little owl pattern). 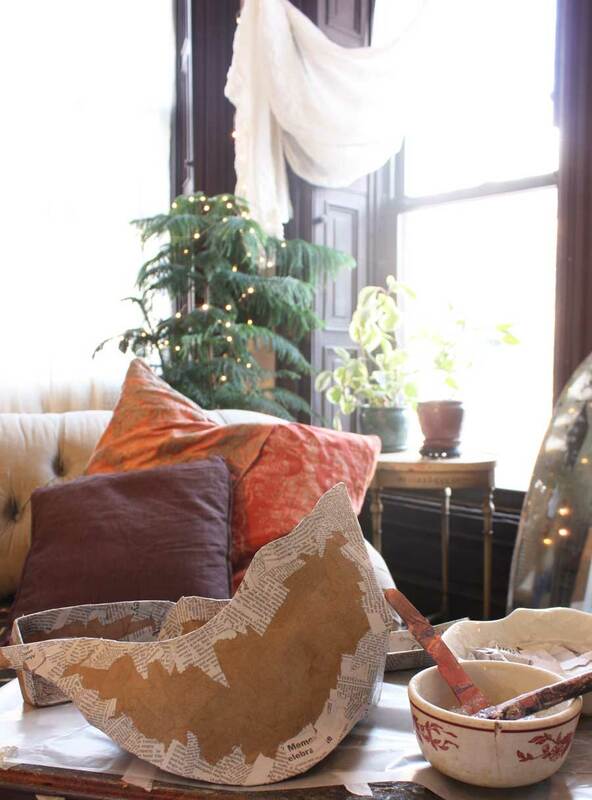 I love turn of the century fabric and lately I’ve come across some contemporary fabrics that remind me of some of my favortite antique small prints. 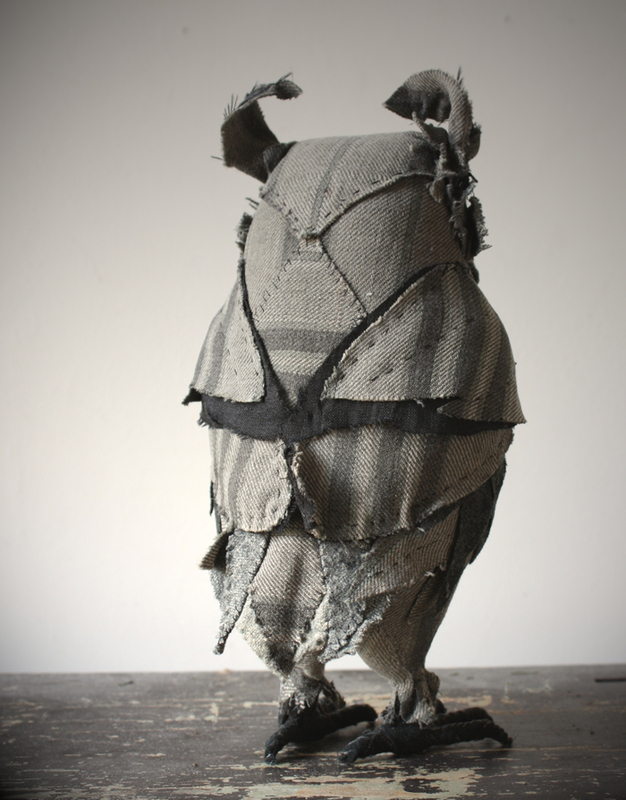 The fabric I used for this owl’s face is from Cotton and Steel, below on the left and the tiny black and white print on the right is by Seven Berry. 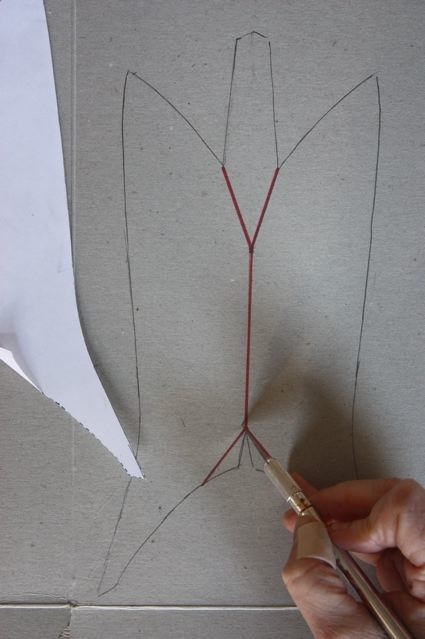 This weekend I’ll finish the sails and rigging and start more paper and fabric ships. I want to begin the year with a substantial fleet, an auspicious and nautical beginning to 2018. 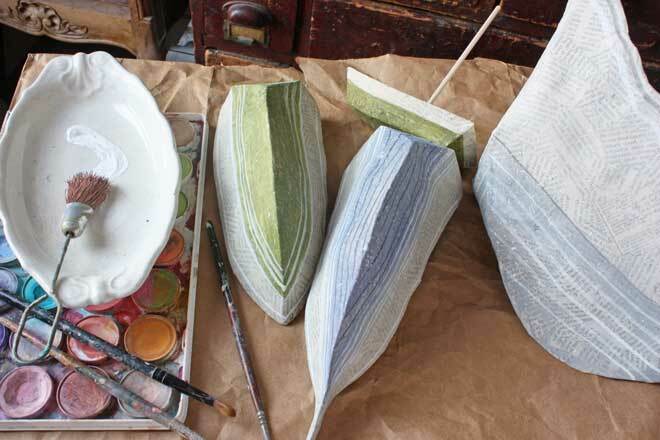 Paper mache is good for my brain and spirit. 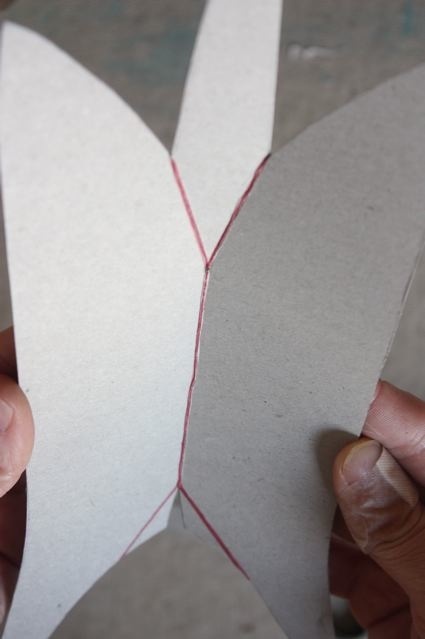 It requires just enough attention – all those little pieces of paper – It’s a very effective antidote to stress and anxiety and good for percolating ideas – my hands are busy and my mind wanders gently around. It takes me a little while to settle into it but it never fails to bring a quietness and presentness – a sense of equanimity- whatever might be swirling around me. I think its meditation sneaking up on me. 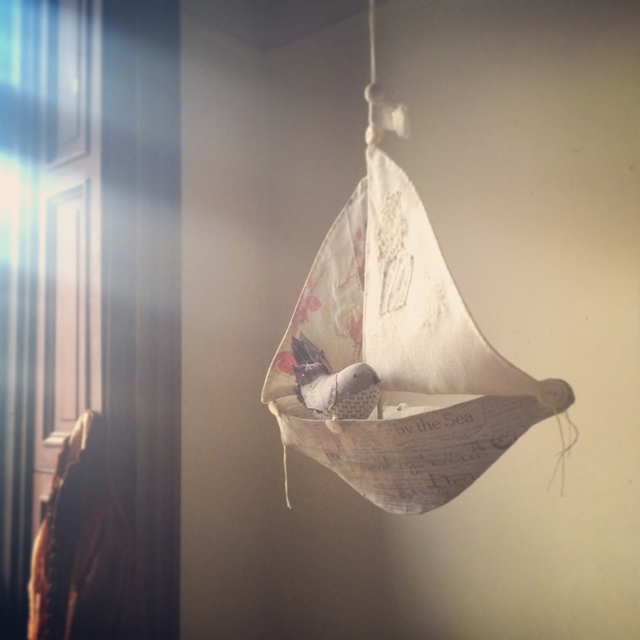 I’m building ships and boats – besides the psychological benefits I miss having them around – I’m currently ship-less. 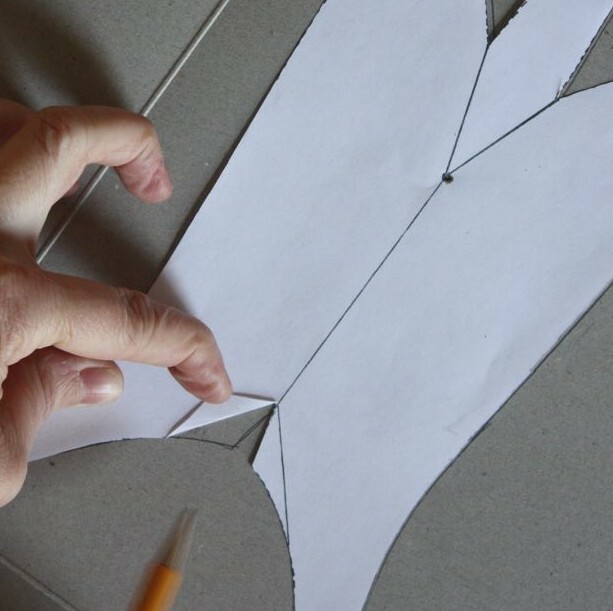 The large ship above is made using this pattern with a couple modifications to the side and back templates. 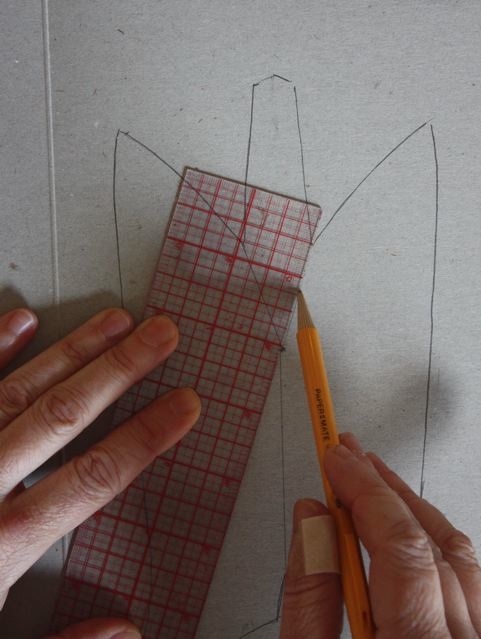 I’ve started the second layer of newsprint over the first of brown paper. I don’t usually wait for one layer to dry before starting the next and 2 layers should be enough for this ship. 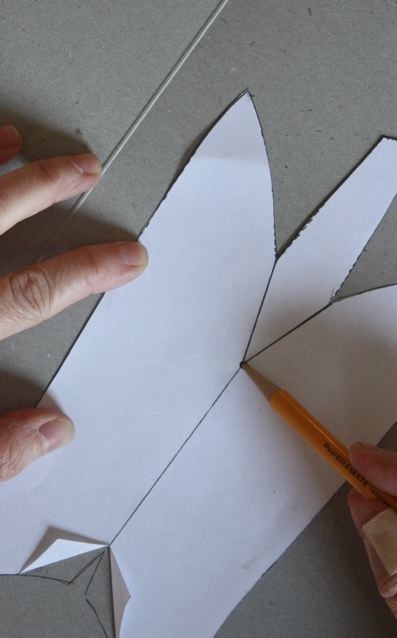 The very mini boat below is an experiment – I wondered if the little felt boat pattern template would also work as a paper mache armature – it does! 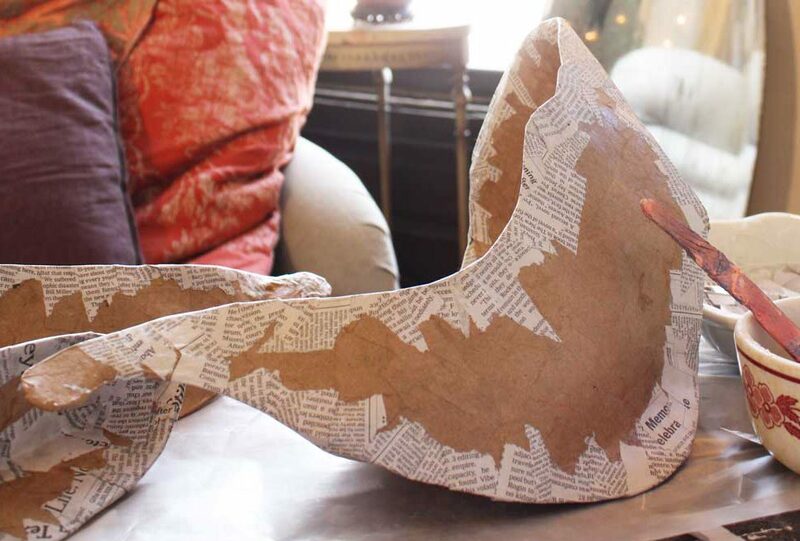 I taped it together with lots of masking tape and added two coats of paper mache. 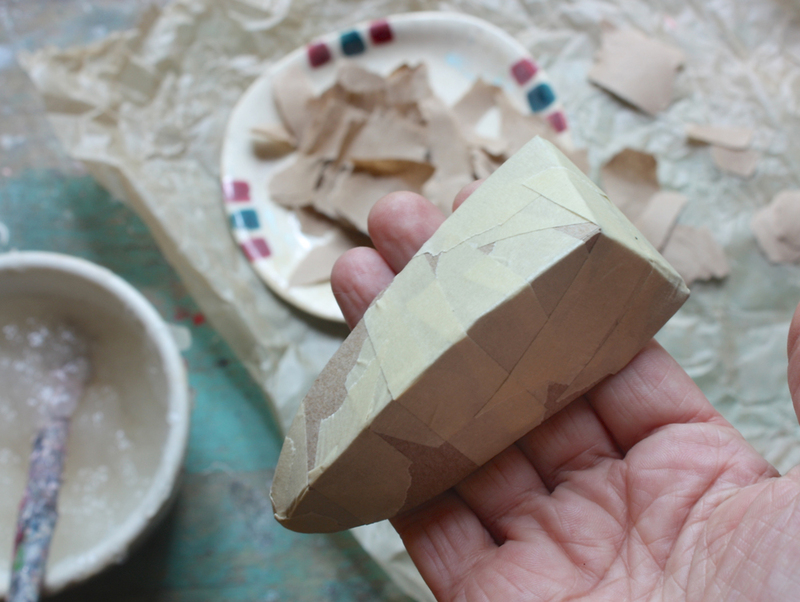 It’s so little the paper mache part was quick – about 15 minutes per layer. 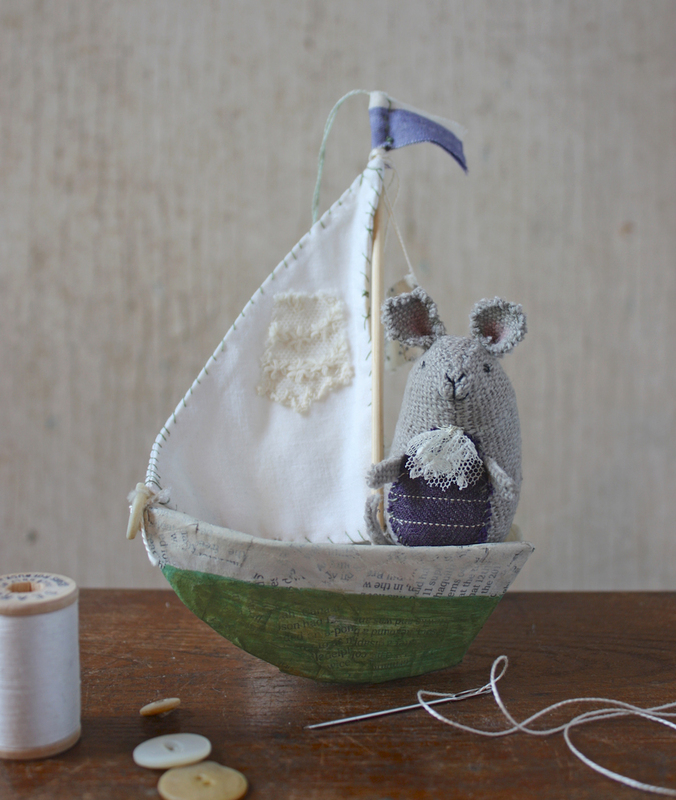 If I was starting over I would have made the little boat 10% bigger – it shrunk a bit when it dried so t’s a tight fit for the gentleman sailor mouse I made to captain it (find the free pattern here). He’s fancy – with his lace ascot and looks pretty pleased with things. P.S. 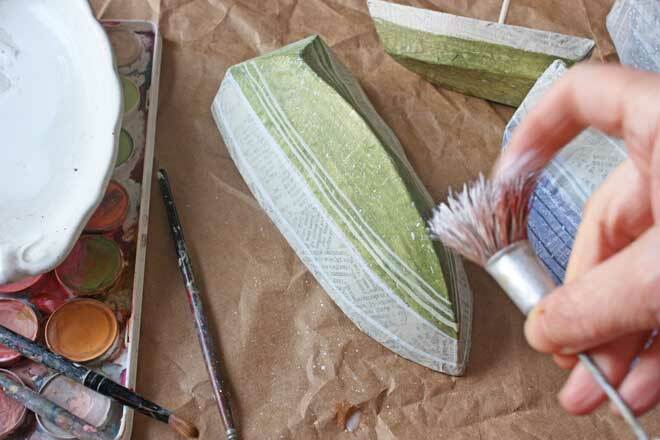 – if you’ve never tried paper mache you can find a free project here and another here – both are a good place to start. 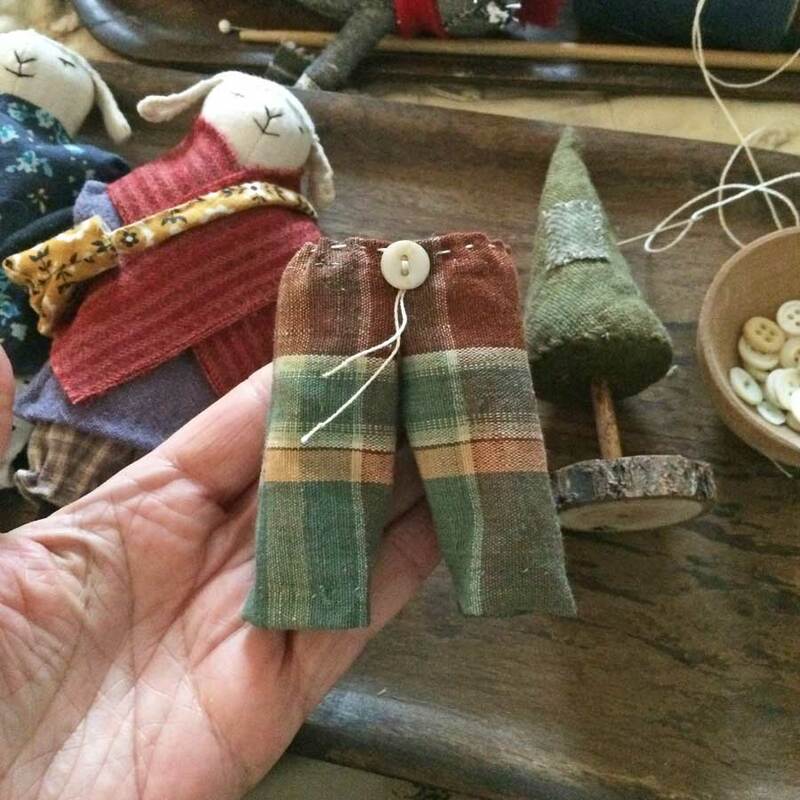 I’ve put together a little collection of things made from my patterns – I love seeing these – beautiful work and tons of imagination. Thanks for sharing your photos! 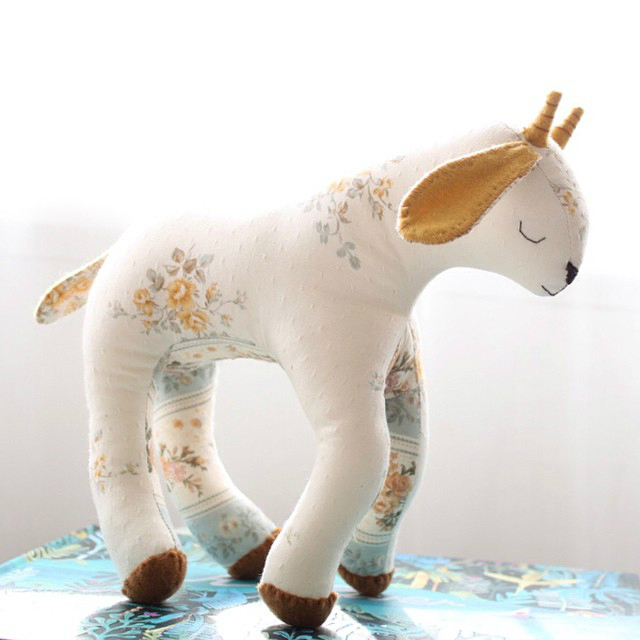 A dear lamb by Evie Barrow. 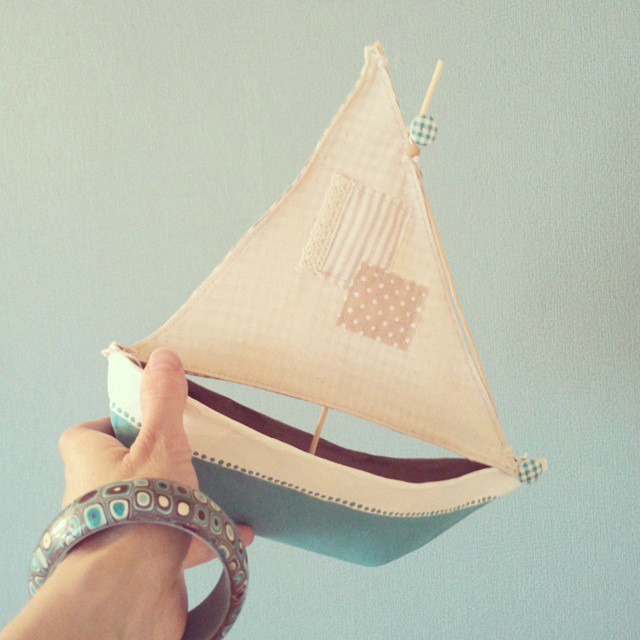 A fantastic boat by Alla (this boat is made from my free boat pattern). 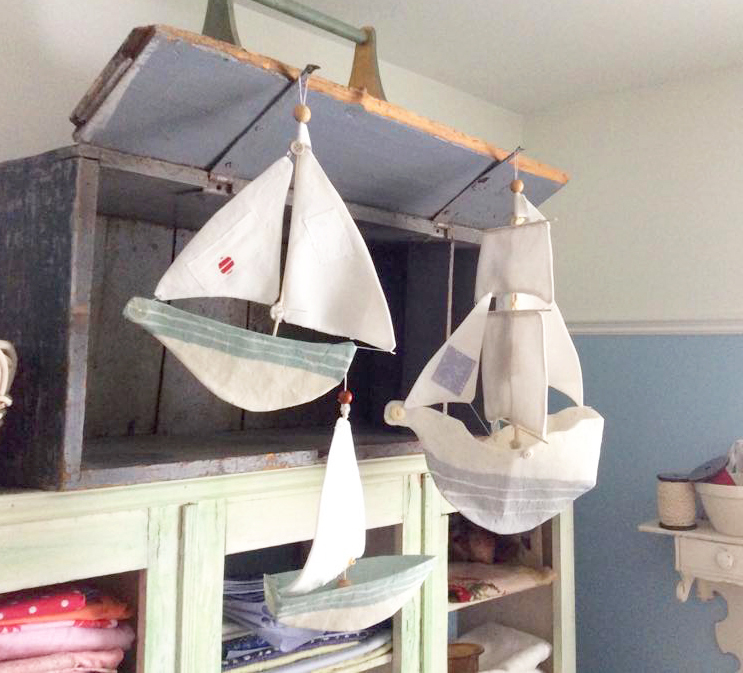 The paper mache ships below are by Val – she used chalk paint – I love the pale, matte colors. 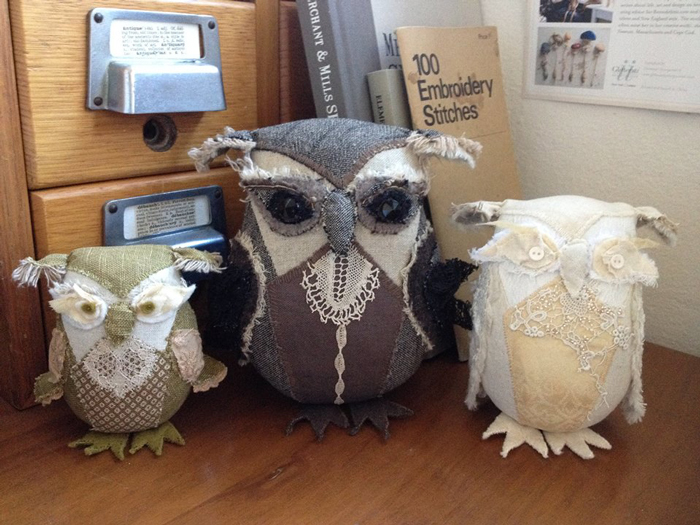 An owl family! 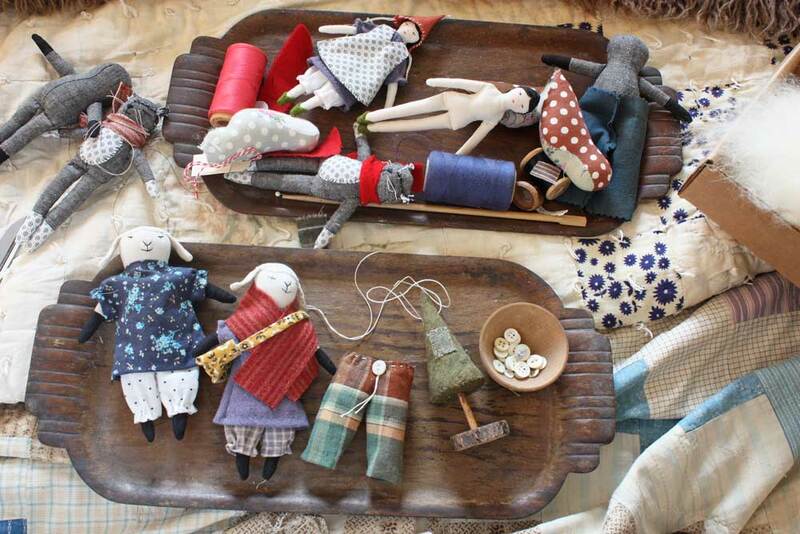 So many wonderful details – they are by Mama with a Needle and Thread. 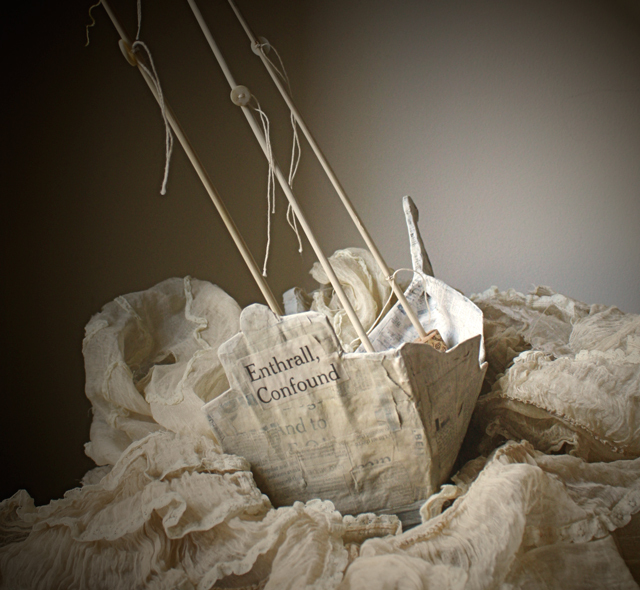 A magnificent paper mache ship by Kileen. 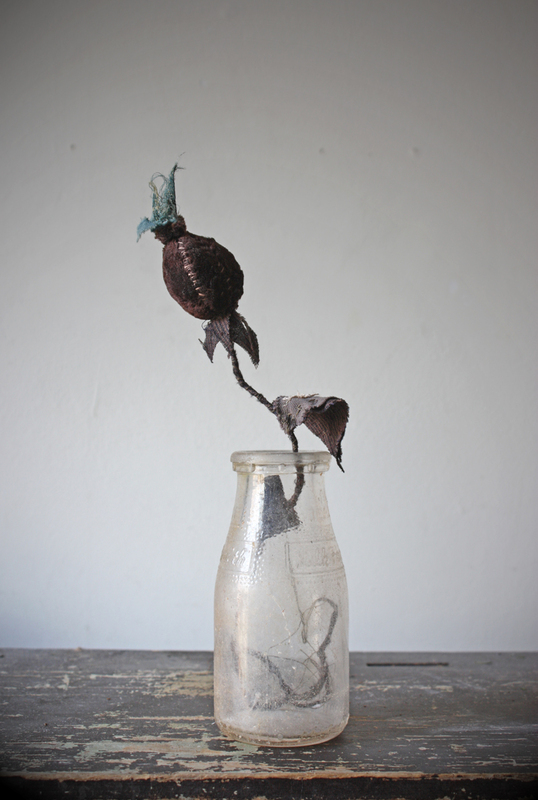 I have a long, happy history with paper mache. 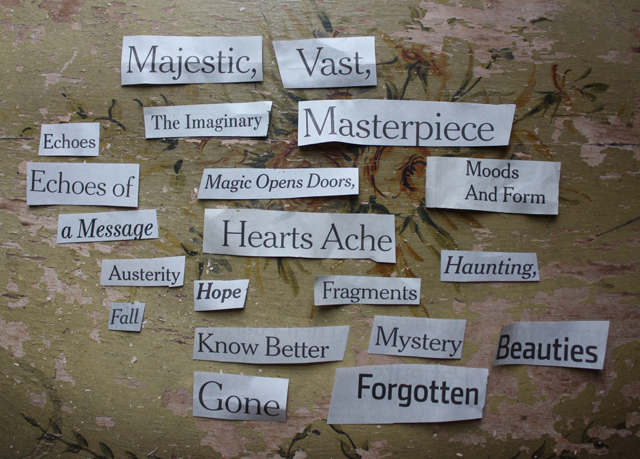 It’s always been one of my most favorite mediums, I loved it at first sight. 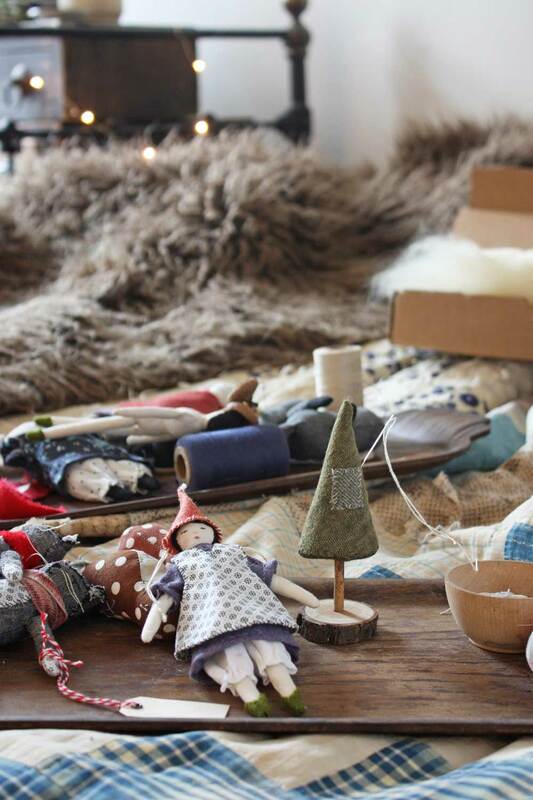 I love the simplicity, the economy, and the endless possibilities. 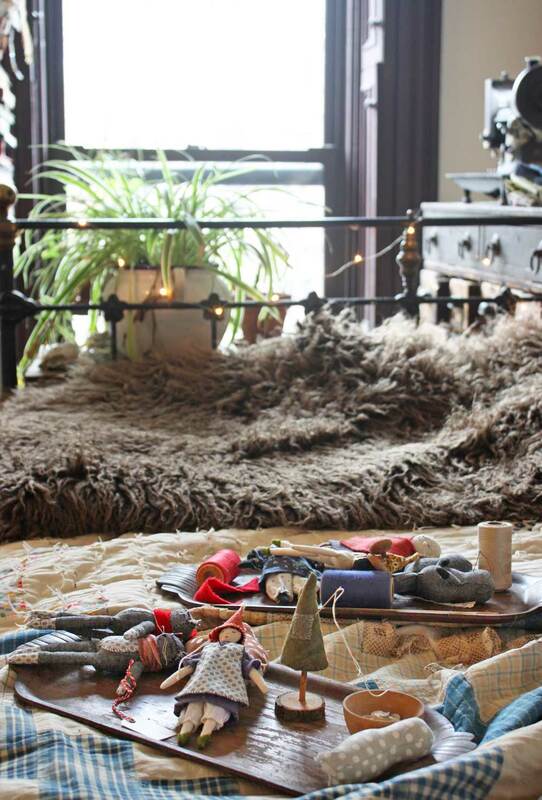 I don’t think you need a lot of skill to have fun with it and it invites improvisational thinking. 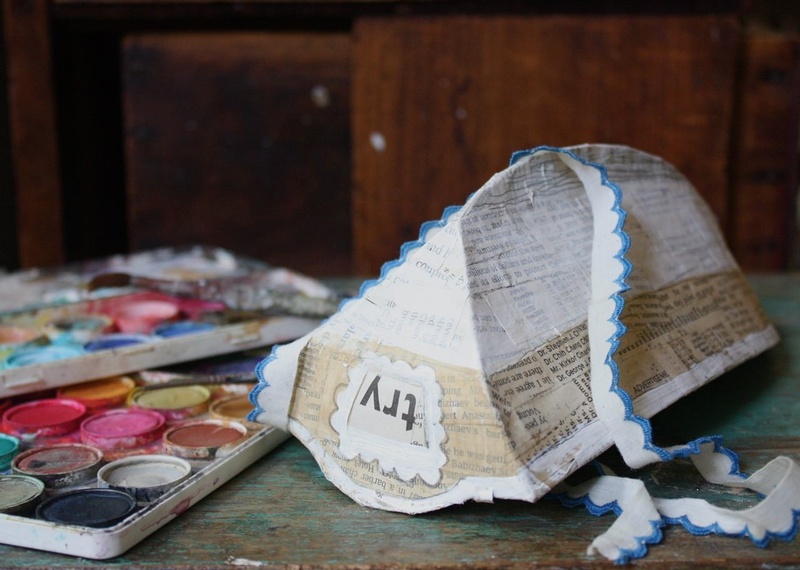 I love to dive in to creating something without plan – just an idea and a pile of cardboard boxes, newspaper and masking tape. 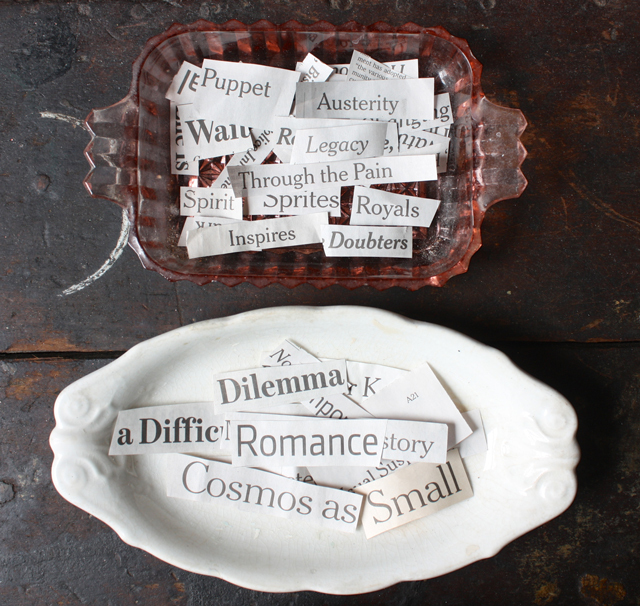 All sorts of problems and happy accidents occur – both spark new ideas. I think it’s good brain exercise. 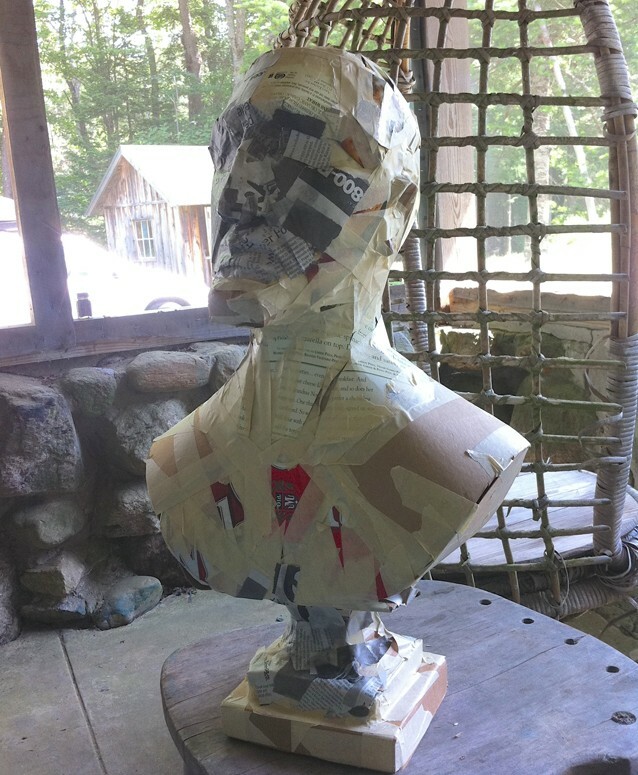 I spent part of this past weekend on an big paper mache experiment that failed dramatically but I learned a ton and it sent me in a new direction, I landed on and idea that intrigues me, a new approach to a project I’ve been stalled on for months – more on that soon. 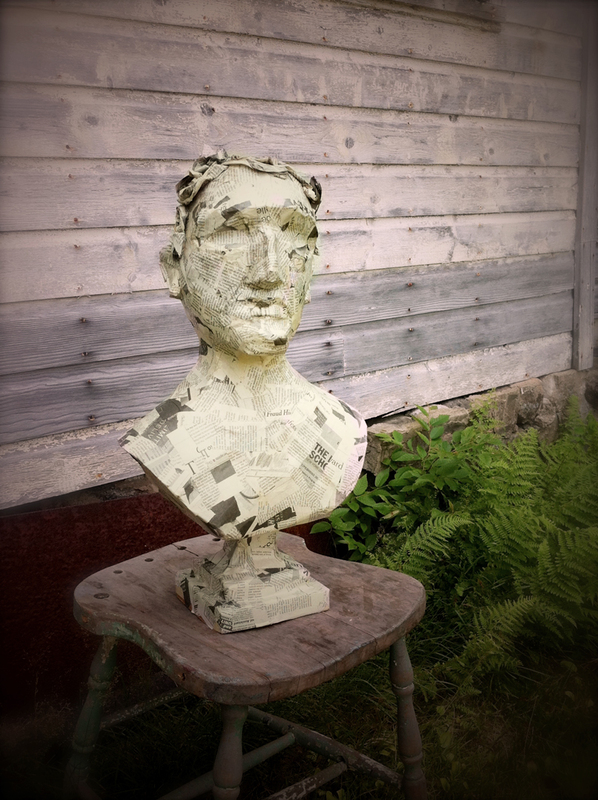 In a similar experiment a few years ago I made a classical style bust while I was spending a weekend upstate – just for fun – with whatever was on hand. I like him, he’s silly and and I decorate him every Christmas. 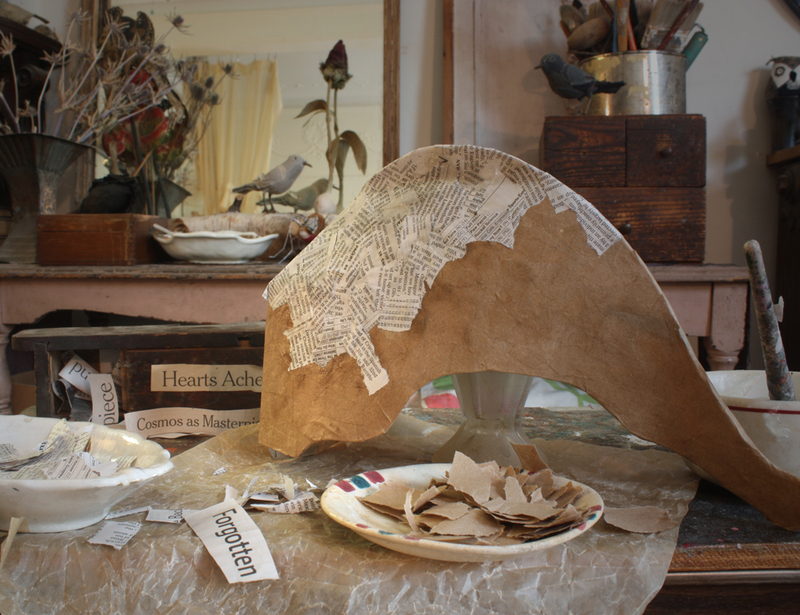 Here he is in progress – lots of taped together cardboard and bunched up newspaper – I had a blast. 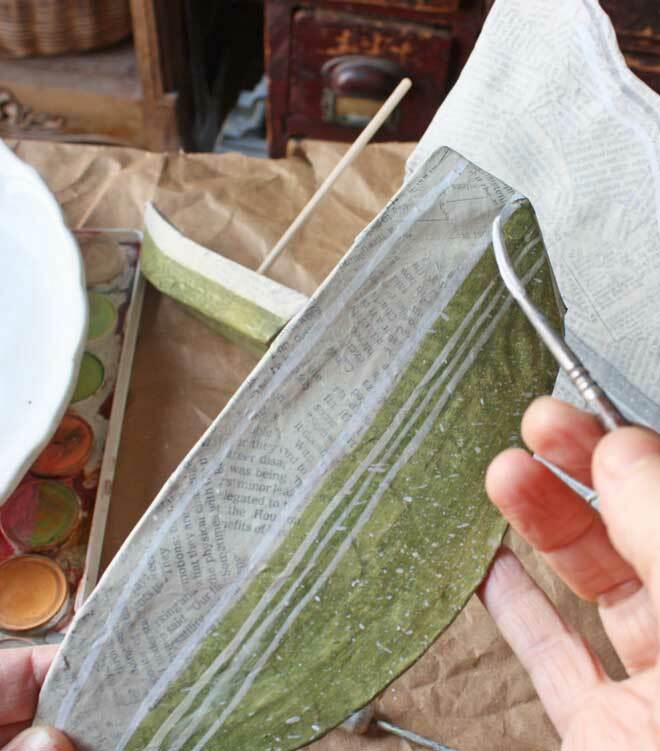 If you’ve never tried it before I have 2 free tutorials with templates and lots of instructions – paper mache boats and teacups. 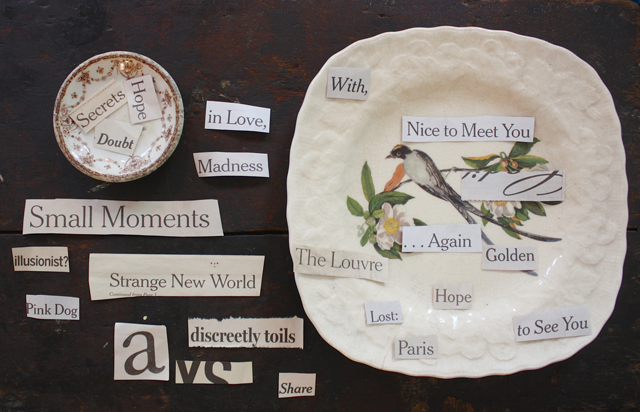 The tea cups are lovely for Mother’s day and both make great parent child collaboration projects. Theses are little passengers for sailboat #6. This is the boat on Saturday. I finished it yesterday and it will be in the shop later this week.